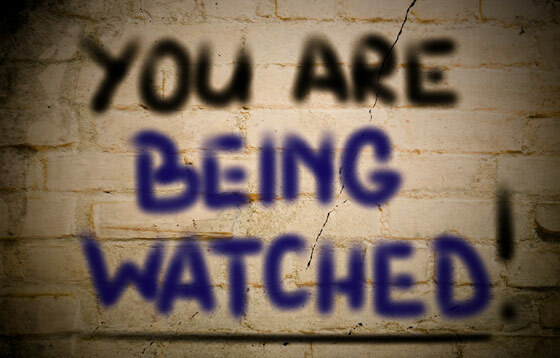 You’re being watched constantly, at least if you have a cell phone with apps on them. A recently published report showed how seemingly innocuous apps were gathering information about how a person goes about their day. They refresh constantly, collecting data about your location. These companies are tracking every step you take, every stop you make, and then selling it to the highest bidder. Now, before I get the predictable chorus of people telling me they’d never ever use a smartphone and that if they did have one they wouldn’t enable location data on it, I can call BS (baloney sandwiches) on at least 44% of you because…well…Google tells me this. I get emails from Google every week telling me from what type of devices people access my website. I did not sign up to ask for this information – this is what Google does. So while many of you are not using a mobile device, many of you are. Magrin was recorded more than 800 times making the trip to and from her place of work. If you have location information enabled on your phone, you’re being watched. There are more than 75 companies with apps that know where you live, where you work, where you go to the gym, and many other details about your personal routine. About 75 companies have access to how cell phone users spend their time. This includes children who are often given phones these days so that parents can reach them at all times. This creepy tidbit was also discovered in the archives of data to which The Times was given access when once set of data showed the user of the phone going to the playground to school then back home. Location targeting is a massive, horrifying business, and it’s booming. The businesses involved track you, analyze your data, and either sell it or use it themselves. They claim that they have no interest in your identity – they’re only looking at your patterns. One company, creepily called Reveal Mobile, has location-gathering code embedded into more than 500 apps, many of which provide local news. Some estimates say that location targeting is going to be worth $21 billion this year. The way they make money is simple – they track you and sell the information to people who want to advertise to you. Then, the people who bought your information use patterns discerned through tracking you to sell you things. The exception to this is Google, which physically tracks you so that they can sell ads to people who want to reach you as opposed to selling your information specifically. The small companies are heading toward making 250 million. The small ones. With that kind of money at stake, you know this is only going to become more prevalent. Here are just a few of the apps that are selling your information. As a reminder that nothing in this world is actually free, here are some of the “free” apps that may be tracking you right now, wherever you’re sitting down to read this article. If you’re curious whether apps on your phone are tracking you and selling your information, here’s a place you can plug in the name of your app and get a report. The only app on my phone with location enabled was Waze, which, thankfully doesn’t seem to be selling my information at this point in time. The Daily Mail explains how to protect your location privacy and get rid of anything that may be stored on your devices. Even if you have ‘Location History’ off, Google often stores your precise location. Here’s how to delete those markers and some best-effort practices that keep your location as private as possible. But there’s no panacea, because simply connecting to the internet on any device flags an IP address that can be geographically mapped. Fire up your browser and go to myactivity.google.com. You’ll need to be logged into Google. Google will warn you that some of its services won’t work as well with these settings off. If you use Google Maps, adjust your location setting to ‘While Using’ the app. This will prevent the app from accessing your location when it’s not active. This still won’t prevent advertisers from knowing your rough location based on IP address on any website. Both Google Maps and Apple Maps will still work, but they won’t know where you are on the map and won’t be able to give you directions. Under the main settings icon click on ‘Security & location.’ Scroll down to the ‘Privacy’ heading. Tap ‘Location.’ You can toggle it off for the entire device. Use ‘App-level permissions’ to turn off access to various apps. Sign in as a ‘guest’ on your Android device by swiping down from top and tapping the downward-facing cursor, then again on the torso icon. According to The Daily Mail, Android has 1,200 apps with this kind location-sharing code while iOS has only 200. Think about the types of things that can be discovered about you. Basically, every daily habit you have, someone knows if you use a cell phone with the location enabled. Every step you take, someone knows where that step is taking you. Every place you stop at for a period of time – someone knows that too. The thing is, people are giving their permission to be tracked. That’s the moment you gave one of these companies permission to track every move you make.